Philippe Coutinho Has Reportedly Spoken To Manchester United Players About A Potential £100m Switch To Old Trafford. And now, according to The Mirror, the 26-year-old has “issued a come-and-get-me plea” to United to end his Nou Camp hell. Coutinho is believed to have admitted he “misses the Premier League” and has already chatted with some of the current squad at Old Trafford. And fans won’t be too happy to hear of his desire to play in the red shirt of fierce rivals United next season. 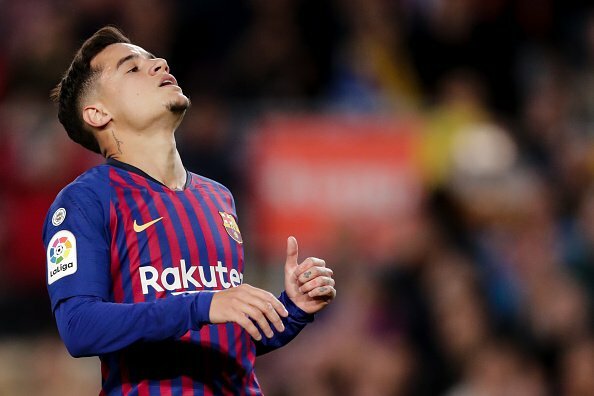 Barca’s institutional and sporting relations chief Guillermo Amor, told the SPORT website: “At the beginning with Coutinho, we were happy and have always been happy. The Brazil playmaker has bagged just eight goals in 38 matches for Barca in all competitions this term – and has especially spluttered in la Liga.